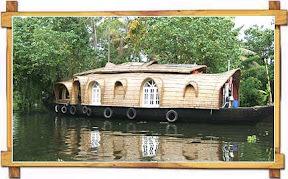 Alappuzha is the centre for backwater cruises and coir products in Kerala. It has a large network of canals which pass through the town and provide its lifeline. The Nehru Trophy Boat Race - the most colourful snake-boat race in Kerala, is held here on the second Saturday of August every year. Vijaya Beach Park - A picnic spot with Children's Park and boating facilities. 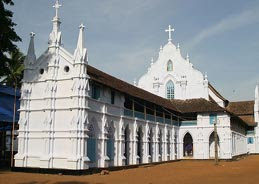 Edathua Church (24 Km. ): Established in 1810, the church is dedicated to St. George. It is believed that prayers and offerings at this church help to heal all mental disorders and other ailments. Krishnapuram Palace (47 Km. ): This 18th century Palace is a double storeyed structure which houses one of the largest mural paintings called the "Gajendra Moksham". Area : 46.78 Sq.Km. Altitude : Sea Level. Temperature : Summer Max: 35.0 Deg.C. Min: 22.5 Deg.C. Winter Max: 32.0 Deg.C. Min: 22.0 Deg.C. Rainfall : 254 Cm. Season : October to May. STD Code : 0477. Air : Nedumbasserry Airport in Kochi (64 km.) is the nearest airport which is connected by Indian Airlines and private airlines with major cities in India. Fare: Mumbai-Kochi: Rs. 5990/- (Y) & Rs. 8685/- (J). Rail : Alappuzha is connected by rail with various cities/towns in India. Thrissur 144 Km and Thiruvananthapuram 159 Km. 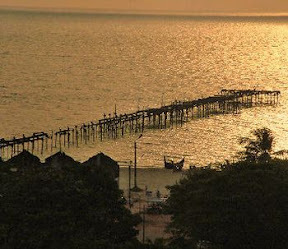 Ferry Services: Alappuzha is well connected by ferry services with Changanassery (3 hrs. ), Kollam (8 hrs. ), Kottayam (3 hrs. ), Kumarakom (2 hrs.). Surface Water Transport Dept. of Kerala operates Publlic Ferry Services from Alappuzha to Kottayam at 0730, 1000, 1130, 1300, 1430 & 1730 hrs. ; to Changanassery at 1000, 1300 & 1730 hrs. Punchiri Bldg., Tel: 232040, 231573. Fax: 252918. Mararikulam North (16 Km. ), Tel: 863801-09. Fax: 863810. A.S.Road, Tel: 243752-57. Fax: 243758. Thrikkunnapuzha, Tel: 243462, 483111. Fax: 243462. Ayurvedic Resort, Thathampally, Tel: 231468/236950. Fax: 251068. The tariff of the following hotels range from Rs. 200-500/- for a single room and Rs.600-900/- for a double room. Hotel Arcadia, Near KSRTC Bus Stn., Tel: 251354; Brothers Tourist Home,Near M.C. Hospital Jn., Tel: 251347/653; Cherukara Nest, Near KSRTC Bus Stand, Tel: 251509; Green Palace Health Resort, Chempumpuram, Telefax: 736262; Enkey's Tourist Home, Pathirapally, Tel:258462; Hotel Komala, Thathampally, Telefax: 243631; Hotel Muttael Holiday Inn, Nehru Trophy Road, Tel:242365; Narasimhapuram Lodge, Mullakkal, Tel: 262662; Padipura Residence, Near District Court, Tel: 244978; Palmgrove Lake Resort, Punnamada, Tel:235004. 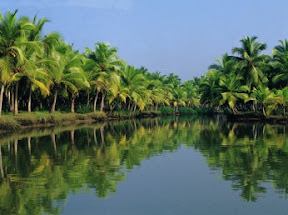 The beautiful state of Kerala in India known as the gods own country for its natural beauty, but I feel gods abode in this beautiful state is Alleppey, with its lush green paddy fields and backwaters, beauty is in such abundance to behold ones eyes. With lush green paddy fields and nice backwaters, Allepey is beuatiful place within the beautiful state - Kerala (God's own country). Catch bus or train from Cochin, the rail route from Cochin goes over some bridges crisscrossing the water canals. Then train start tracing sea shor and enjoying the beauty of nature is only thing that you will be on your mind. Getting in town you will the colonial touches with old buildings and churches transversed by canals connecting the sea and backwaters built for trade purpose during the colonial era. It has one of the cleanest beaches with an old sea bridge stretching nearly one kilometer with light house on other side. Stroll down Mullackal that is a market place lined by shops on both sides and a very old temple called Mullackal temple. Buy umbrellas from Popy or Johns one of the finest manufacturers of umbrellas at there factory store. 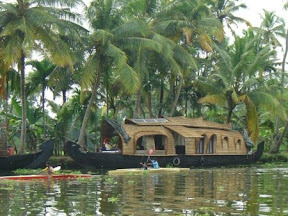 One can enjoy boat rides across the back waters or can rent a houseboat itself to stay in. 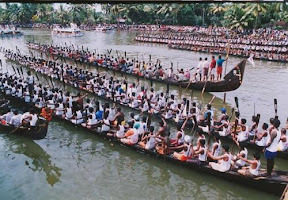 Come august and its harvest festival time called Onam in Kerala and Alleppy is host to the snake boat race it’s a spectacular event to watch and enjoy. You can enjoy driving along the road to Chagnacherry with paddy fields on one side canal on the other. Dotted along the road side one can find coconut Toddy shops, so on the drive you can stop over for a few bottles of fresh Toddy with typical Kuttanadu food. If you are a Food lover then no stopping you can enjoy different varieties of fishes (freshwater as well as sea water ones), mussels, crabs, lobsters, squids etc cooked in spices coconut milk. Alleppey is famous for its coir products or can say only place in the world manufacturing coir carpets and other coir related things. It’s a beautiful place with warm weather through out the year yet September to March being the nice time to visit. The most essential segment of the vietnam explorer accessible by these agencies and operators is that they can be easily maneuver as per one's holiday needs and circumstance. So, if you want to make any changes in your travel agenda, you can lacking problems get it done. Oh, Very nice blog , this is blog, The Golden Triangle Package is often seen to be reinvented by combining it in the most innovative with other tour circuits. As one of the dhams or pilgrimage sites for Hindus, golden triangle with Pushkar tour is a popular destination for the religiously inclined. Located next to the Pushkar Lake, Pushkar has also much to offer for those interested in scenic beauty. With the great number of people coming to Pushkar.